The beach happens to be an excellent place for one to spend a vacation. It is one of the most preferred destinations to plenty of people. The beach has, in fact, become symbolic of a holiday to the tourist industry. India has several amazing beach destinations, out of which Goa stands out as being the most popular. People from all over the country as well as abroad throng here for the vast sandy stretches that are abundant all across the state. In addition to this, Goa also has some exquisite and verdant landscapes, particularly in the hilly areas to the east. In addition to this, the state also has plenty of cultural and historical sites. What makes the state very different when compared to other states is its unique Portuguese feel, which is a legacy of colonization by the Portuguese. Despite the diverse attractions and choices that Goa offers, most people will tend to overlook everything else on its beaches and nothing else. Many of them even prefer to stay by the beach throughout their holidays, so as to get as much of the seashore as they can. For the tourists who are into staying by the beach while vacationing here, given below are some excellent lodges to consider which are very close to the seashore. 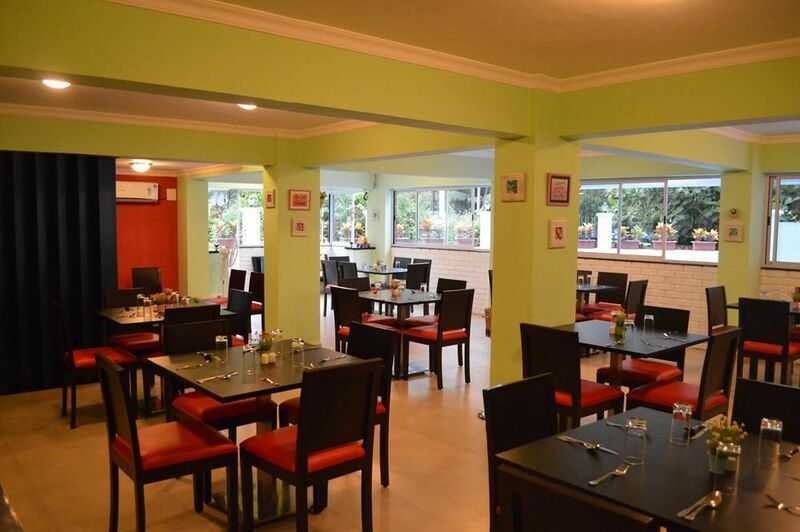 The La Vie Woods is an excellent stay option in the town of Calangute. 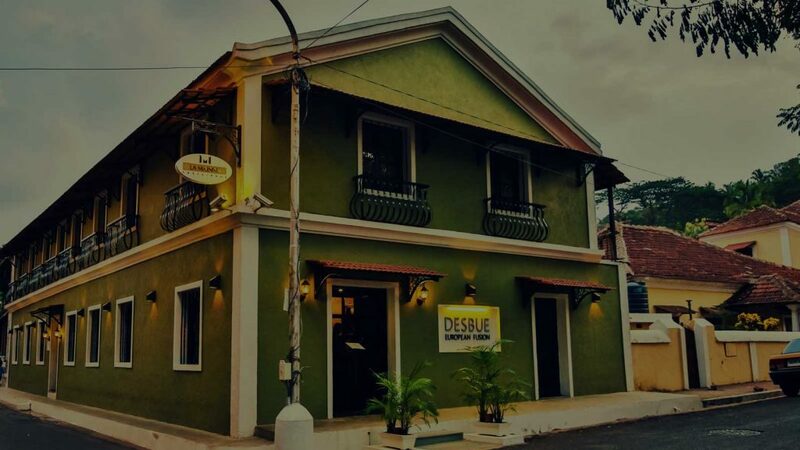 Situated on the Calangute-Baga Road, the place offers amazing comfort and convenience to its guests. The place has been designed with plenty of attention paid to detail regarding both the interior as well as the exterior. Coming to the facilities at the place, guests can look forward to all the major conveniences that provide for an amazing and memorable holiday. The Starting prices for rooms begin at Rs 3, 300. The facilities that are available include Pool, Room Service, Free Parking, Restaurant, Breakfast included, Free High-Speed Internet ( WiFi ), Room Service, Free Parking, Airport Transportation, Breakfast included, Dry Cleaning, Concierge, Laundry Service, Multilingual Staff, Air Conditioning, Refrigerator in room, etc. The Caravela Homestay is an excellent heritage stay located in the North Goa region of Goa. It has been set up in an old heritage building located in one of the main areas of Panaji. The building itself was remodelled and repurposed as a hotel after its restoration. The first thing that guests at the place will notice is the aura of being from a different time. In terms of architecture, the building would remind someone of the days of colonialism when Goa was under Portuguese rule. Coming to the amenities and services at the stay, guests will find that the place has all that is needed for an amazing and comfortable stay. The Starting prices for rooms begin at Rs 2, 100. The facilities that are available include Restaurant, Breakfast included, Free High-Speed Internet ( WiFi ), Breakfast included, Laundry Service, Air Conditioning, etc. 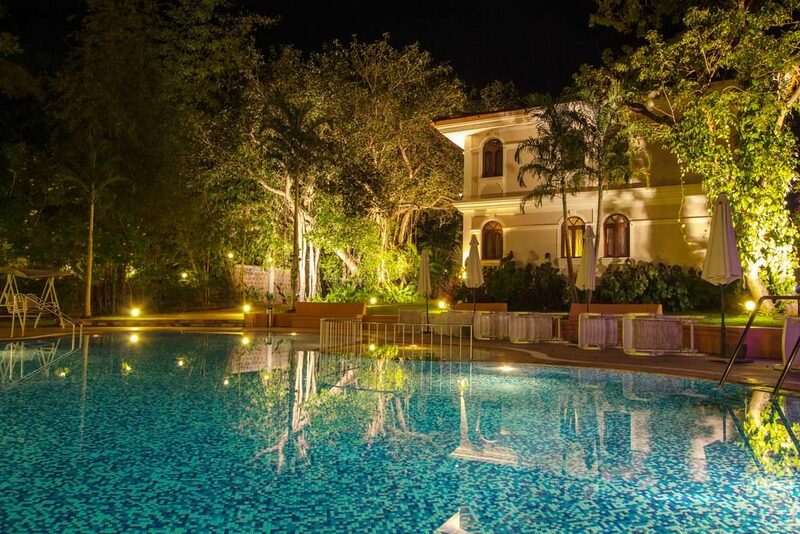 The La Maison Fontainhas is an excellent stay option located in Goa’s capital city of Panjim. The entire place has been designed keeping in mind to ensure an authentic and wholesome feel of the bygone era. The stay is a part of Goa that is well known for numerous old buildings from a different time. In fact, the stay itself blends in with the surrounding architecture, with plenty of elements depicting designs from another time. Coming to the amenities that are available at the stay, one can expect all that is necessary to ensure comfort and convenience. The Starting prices for rooms begin at Rs 4, 200. The facilities that are available include Restaurant, Breakfast included, Free High-Speed Internet ( WiFi ), Breakfast included, Laundry Service, Concierge, Air Conditioning, Minibar, etc. The Hawaii Comforts is an excellent place worth considering if one happens to be visiting North Goa. 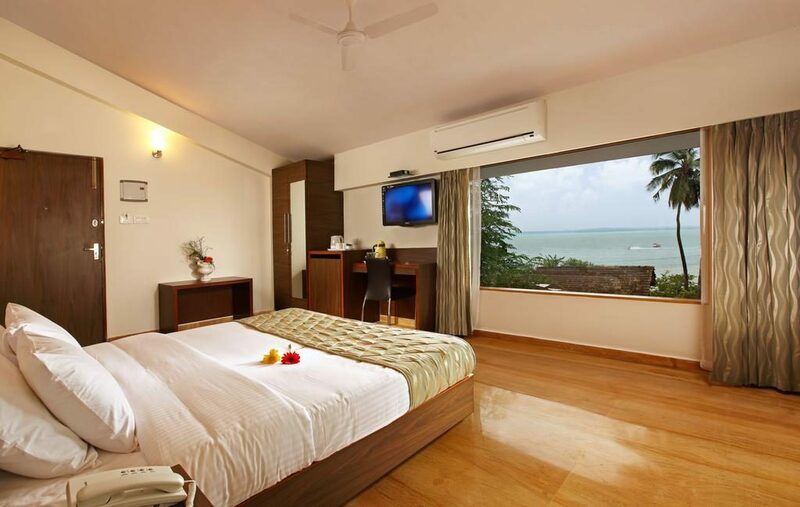 Situated in Dona Paula, the stay offers amazing accommodations with all necessary amenities and facilities. In addition to this, the place happens to be located very near to the beach, with the local beach being just a short walk from the stay’s premises. The facilities that are available include Free Parking, Restaurant, Free Internet, Breakfast included, Room Service, Free Parking, Airport Transportation, Breakfast included, Room Service, Laundry Service, Air Conditioning, Refrigerator in room, etc. The Hacienda De Goa Resort is a wonderful stay option located in the well known Anjuna village. Located on one of the main roads of the area, it is situated in very close proximity to all major nearby attractions and destinations. The beach is very close by as well, located at an approximate overall distance of 1.5 km from the main premises of the stay. Furthermore, the place has all that is required for a comfortable as well as relaxing stay. Guests can look forward to availing all major modern facilities while staying here. The Starting prices for rooms begin at Rs 3, 200. The facilities that are available include Pool, Room Service, Free Parking, Restaurant, Free High-Speed Internet ( WiFi ), Room Service, Free Parking, Airport Transportation, Laundry Service, Concierge, Dry Cleaning, Air Conditioning, Refrigerator in room, Minibar, etc. 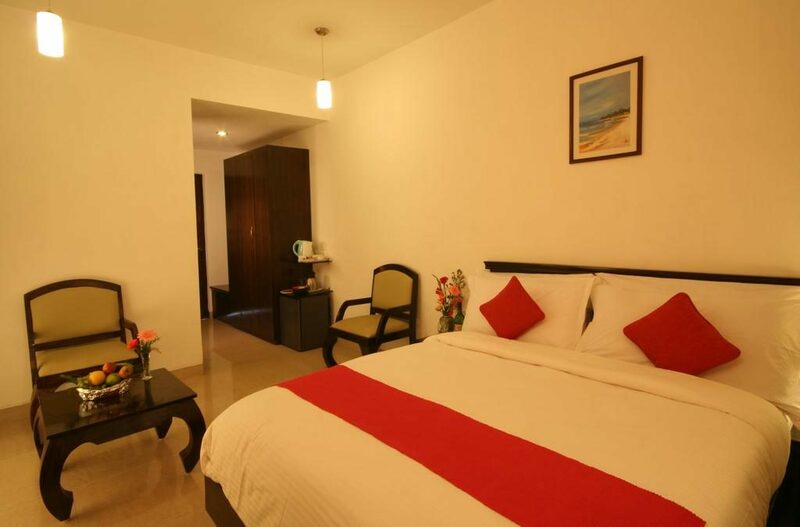 The Arotel Rooms and Suites is an excellent stay situated in the famous town of Calangute. Located in the Gauravaddo region of the town, the stay boasts of a wide range of amenities and features, which together provide for a most amazing and memorable stay. Apart from this, the beach is well within walking distance from the premises of the stay. The Starting prices for rooms begin at Rs 4, 300. The facilities that are available include Pool, Free Parking, Restaurant, Breakfast included, Room Service, Bar/Lounge, Free High Speed Internet ( WiFi ), Free Parking, Breakfast included, Laundry Service, Room Service, Airport Transportation, Air Conditioning, Refrigerator in room, Minibar, etc. 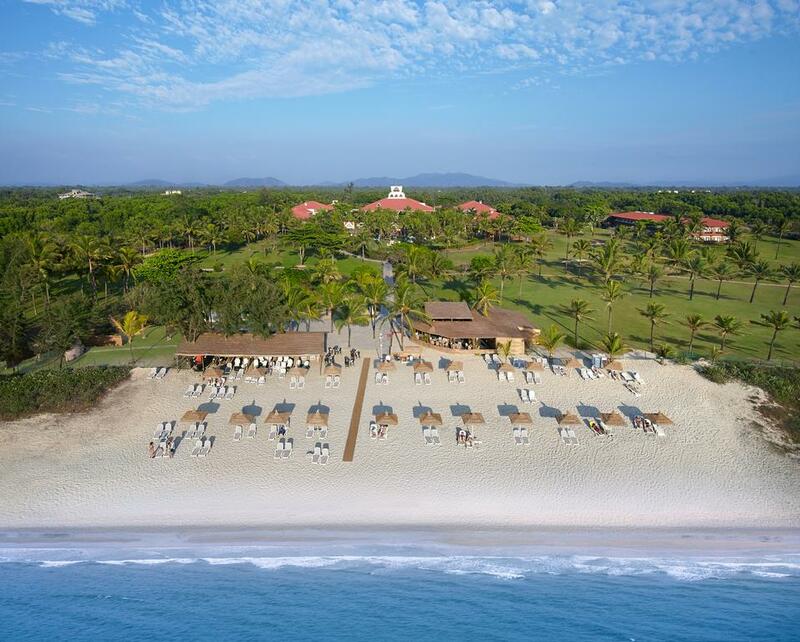 The Fern Beira Mar Resort is an excellent choice located at the very well known Benaulim beach. The resort is situated adjacent to the beach and well within walking distance from the shoreline. With regard to amenities and facilities, the place has all that is needed for a most amazing and wonderful stay. 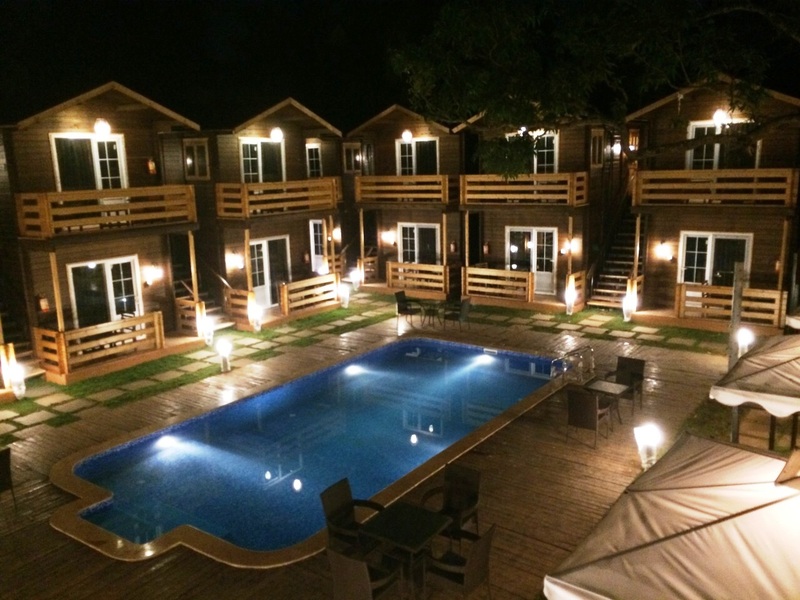 The resort offers well-designed wooden cottages, all of which come fully equipped and loaded with modern conveniences. Apart from the beach, the place is also close by to all major attractions within the immediate vicinity. The Starting prices for rooms begin at Rs 3, 600. The facilities that are available include Pool, Room Service, Free Parking, Restaurant, Bar/Lounge, Beachfront, Spa, Breakfast included, Free High Speed Internet ( WiFi ), Room Service, Free Parking, Airport Transportation, Breakfast included, Laundry Service, Children Activities (Kid / Family Friendly), Dry Cleaning, Meeting Rooms, Concierge, Conference Facilities, Air Conditioning, etc. 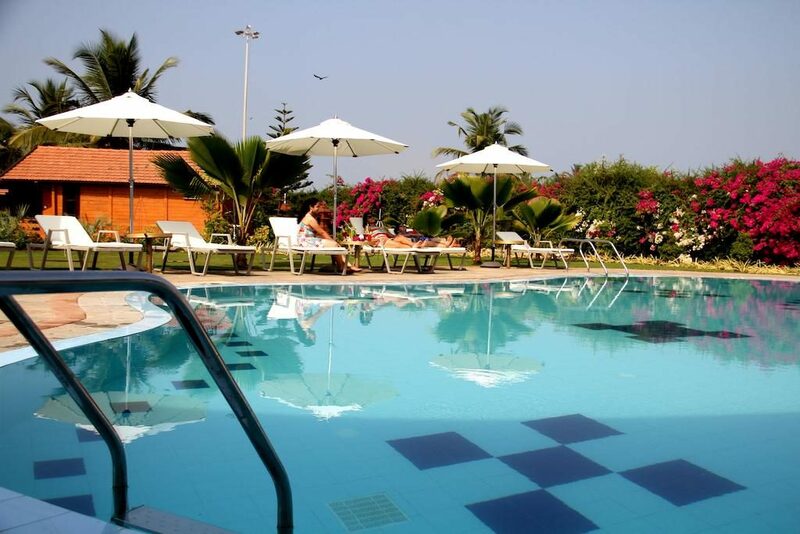 The Calangute Grande hotel, as the name would suggest, is a stay option in the well-known destination of Calangute in Goa. Located just a short distance away from the beach, the hotel provides all major amenities and conveniences that can be expected from a modern hotel. The beach itself is well within walking distance from the hotel, being just a few minutes’ walk away. The facilities that are available include Pool, Room Service, Free Parking, Restaurant, Breakfast included, Bar/Lounge, Room Service, Free Parking, Airport Transportation, Breakfast included, Laundry Service, Dry Cleaning, Concierge, Breakfast Available, Air Conditioning, Minibar, etc.